Famous Dave’s of America this week reported something it hadn’t had since Barack Obama’s first term: a same-store sales increase at franchisee units. 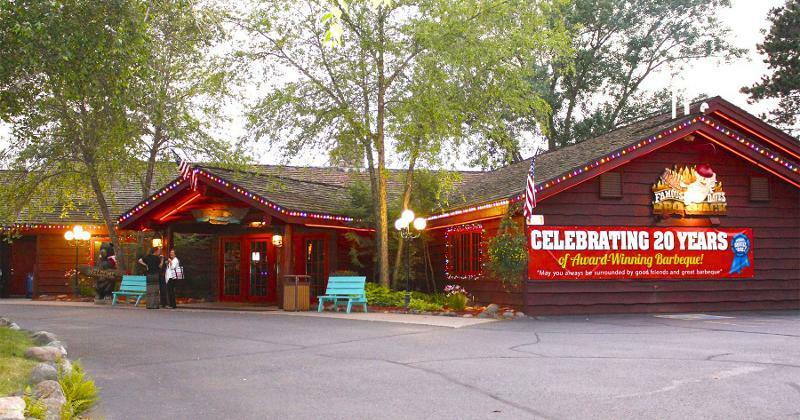 The Minnetonka, Minn.-based barbecue chain said that same-store sales at operator-owned locations rose 1.1% in the quarter ended Dec. 31. The chain hadn’t recorded anything higher than flat same-store sales since the fourth quarter of 2011—23 straight declines. Company locations’ same-store sales increased 8% on a 9.7% increase in traffic. But there are only 16 of those locations, as the chain has closed company units or sold them to franchisees in recent years—including the closure of 13 locations last year and the sale of eight company units to a franchisee in the mid-Atlantic. Franchisees now operate 134 of the chain’s 150 locations, but that is down from 176 locations a year ago. Famous Dave’s same-store sales challenges, spanning several years, came during a remarkably tumultuous period in which activist investors have come and gone with a frequency matched only by change in the corner office. Jeff Crivello, named CEO in November, was its sixth CEO since 2012. The chain has been working to cut general and administrative spending and refranchising, as well as looking for ways to generate more sales. The chain has added third-party delivery in its company-owned restaurants, Crivello said in a statement, and the company is developing a cafeteria-style concept that it believes would be better suited to expansion than its current full-service model. Dave’s stock was down nearly 3% on Tuesday. The company reported a net loss of $1.5 million, or 21 cents per share, a deeper loss than the $982,000, or 14 cents, it reported in the same period a year ago. Revenues, meanwhile, declined 28% to $12.5 million, from $17.4 million, largely due to the closures and refranchisings.